Oversight will be carried out by Aaron Hoskins with contacts in each of the main laboratories predicted to be heaviest users of the HPLC: Chris De Ciantis (Hoskins) and Colleen Hayes (Hayes). 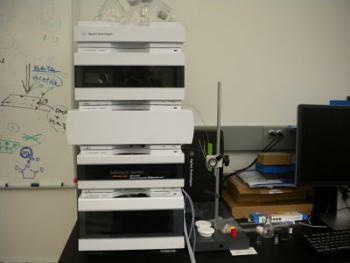 Training by Chris De Ciantis (Hoskins) will be required before laboratory members are permitted to use the HPLC. Use of the HPLC will require advance signup using a calendar and only trained users will be able to log-in to the HPLC computer.